Years ago, on a shore excursion during a cruise in the Bahamas, we rented an inflatable boat. As you probably know, the water in the Bahamas is amazing. Clear, blue and beautiful, that same water holds mysteries like shipwrecks and even coral reefs. Skating and skidding along in an inflatable boat offers a unique way to get close to the water and the marine life. Was it fun? Oh yeah. 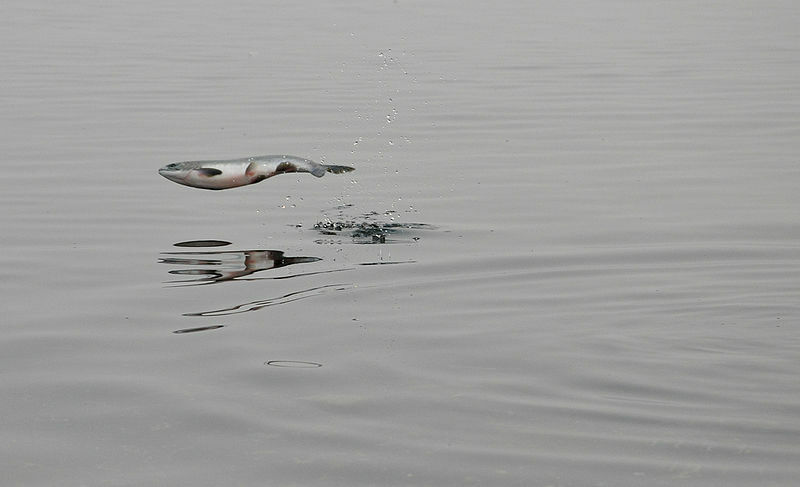 What I remember the most about that trip is the flying fish that I saw during the boat ride. I had heard of them, but nothing prepares you for that first leap in front of the bow of your boat. Silver scales slice through the water, and, with a twist of a glittery body, the fish is gone. The whole encounter happens so quickly that you wonder if you dreamed it. 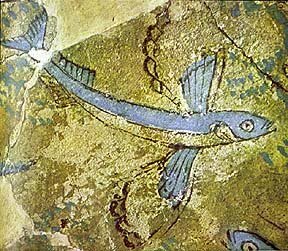 What makes a fish fly? National Geographic credits their “streamlined torpedo shape”. This shape allows then to travel about 37 miles per hour underwater before breaking the surface. Pectoral fins, which are large and wing-like, help them fly. Fish can reach heights of 4 feet from the water, and some even glide distances up to 655 feet. These fish are thought to have evolved and developed this ability to help them escape predators such as swordfish or marlin. I recommend renting an inflatable boat during your next getaway on calm waters, even if you aren’t an experienced boat captain. The only suggestion that I have for the boat rental company to make the experience better is to invest in some Bimini tops for those boats. The sun is relentless! 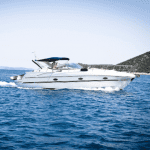 BoatCoversDirect offers 2 bow 42″ high bimini tops with special hardware for mounting to Hypalon or PVC surfaces on inflatables. Call us at 1-866-626-8377 and mention this blog post to receive a 10% discount! Previous: Carver Boat Cover Materials–So Many Choices!